4 Bedroom Semi Detached House For Sale in Havant for Offers in excess of £325,000. Great size family home and situated in a cul-de-sac location. 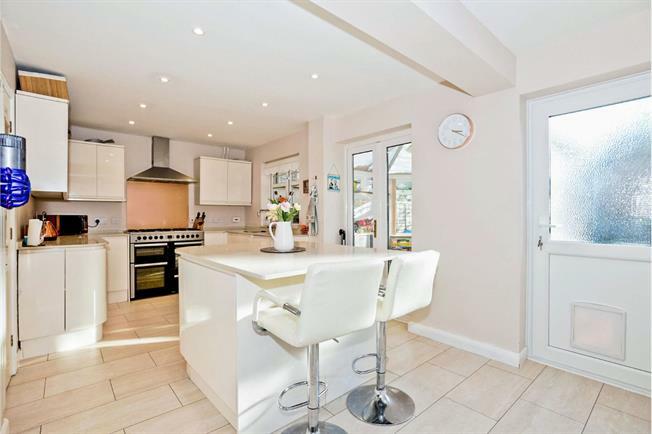 The property comprises: entrance hallway, Lounge, dining room, fitted kitchen, cloakroom and conservatory. The 1st floor holds: Master bedroom with en-suite, three further bedrooms and a family bathroom. Other benefits include double glazing and gas central heating system. Externally there is a driveway to the front for numerous cars and a rear garden mainly laid to lawn. We urge an internal viewing.